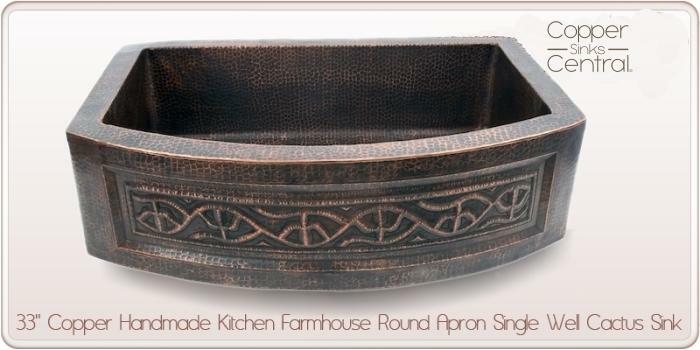 33 x 22 x 9" Copper Handmade Kitchen Farmhouse Round Apron Single Well Cactus Sink with Sanded Dark Finish by coppersinkscentral.com. 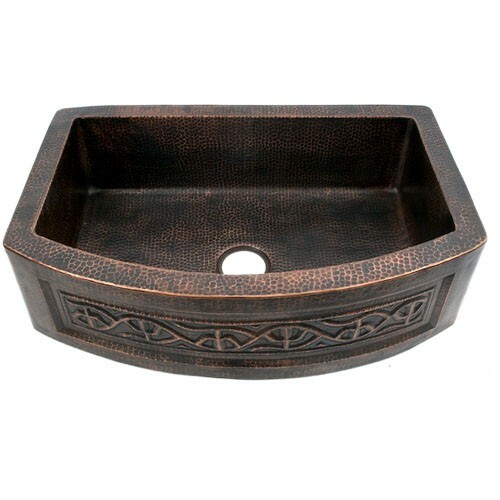 This beautiful copper sink, is part of coppersinkscentral.com unique and original collection of handmade and hand hammered kitchen, bath and bar copper sinks. 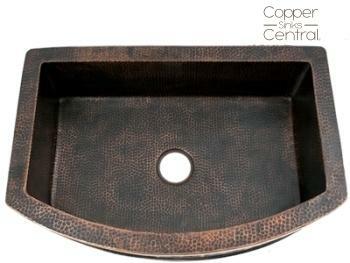 Copper sinks are a beautiful and natural product for your kitchen, bath or bar. Copper is an endlessly recyclable material that will give you natural beautiful finishes for your bathroom, kitchen and bar.